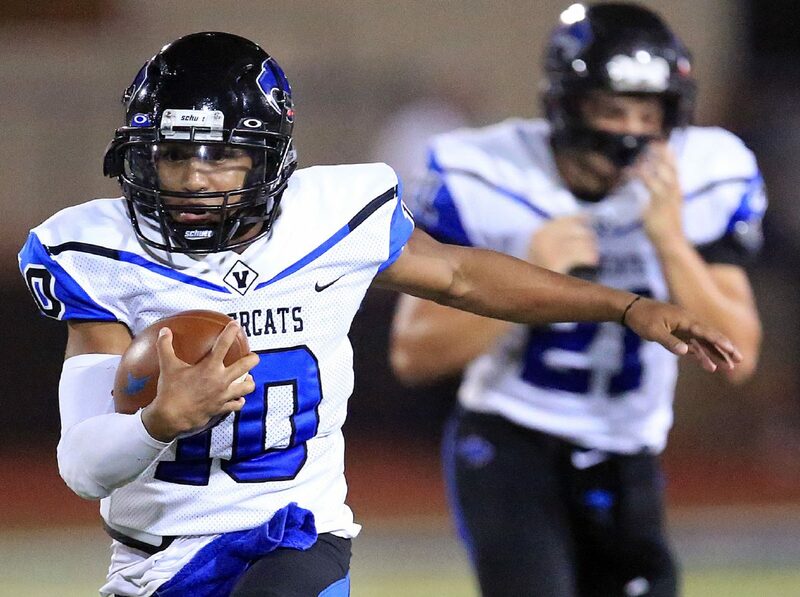 EDINBURG — The Garcia connection was in full effect for Edinburg Vela on Friday night. 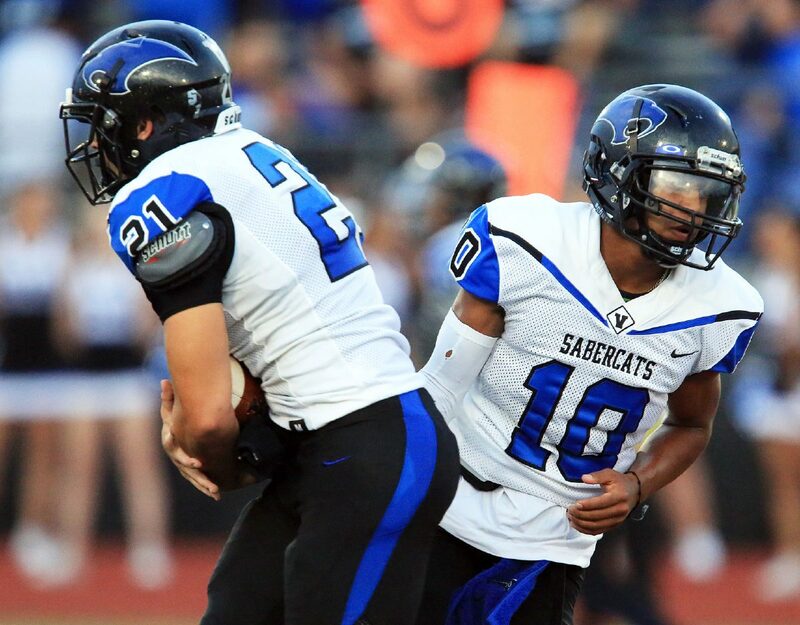 Senior quarterback Nathan Garcia and junior wide receiver Aziel Garcia (no relation) combined on eight passes for 139 yards and one touchdown in Vela’s 52-14 romp of Edinburg North on Thursday at Richard R. Flores Stadium. 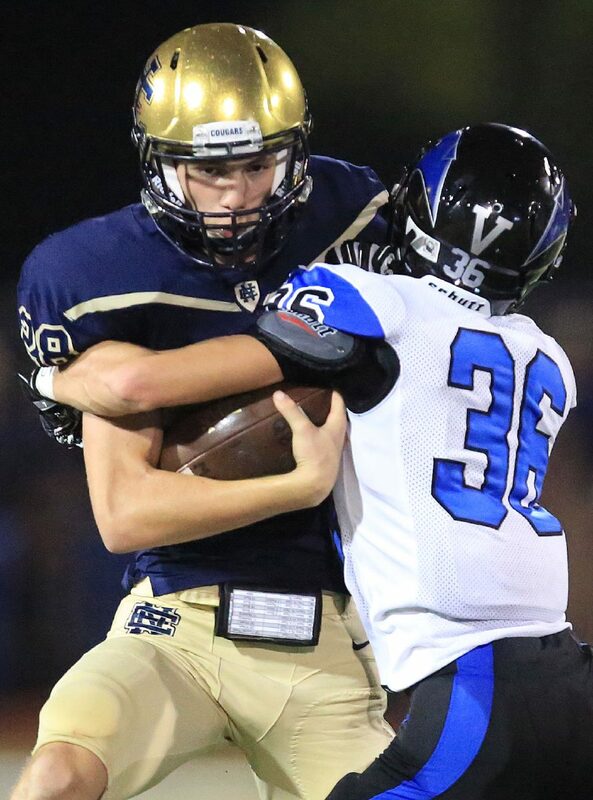 Aziel Garcia worked out at quarterback early in the spring, but his athleticism forced Vela coach John Campbell to find a place for him in the offense. Coming into the game, Aziel Garcia had 5 catches for 111 yards and a touchdown. He more than doubled all three season totals on Thursday. Vela was explosive, but also controlled the ball. The SaberCats showed that on their first three scores. 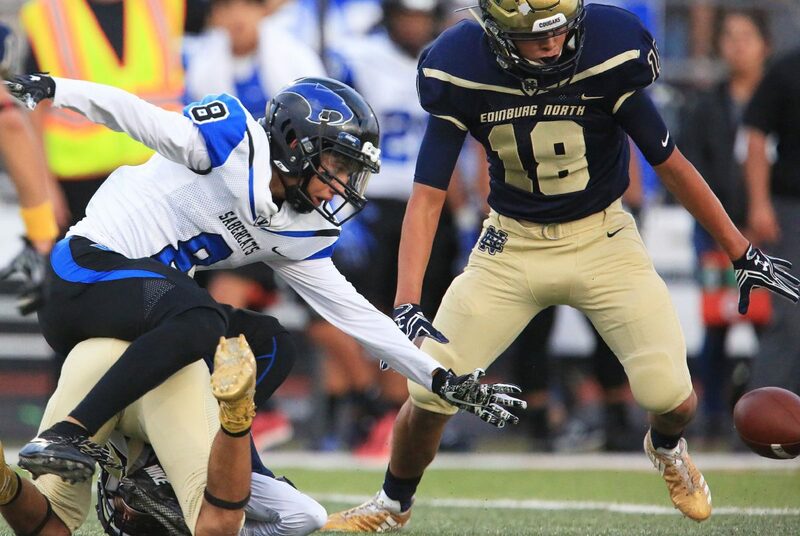 The SaberCats are known for their big-play ability, like their third score of the game, a 52-yard touchdown pass from Nathan Garcia to senior wide receiver Brandon Guzman. The first score, though, was the one that got the team excited. The SaberCats went on an 11-play, 65-yard drive, culminating in a 4-yard touchdown run for senior running back Sam Valenzuela. The drive chewed up four minutes of game clock, which is a lot considering how quickly the Vela offense moves play to play. The SaberCats often snap the ball with 20 seconds remaining on the play clock, and are often lined up for the play before the referee has even placed the ball. 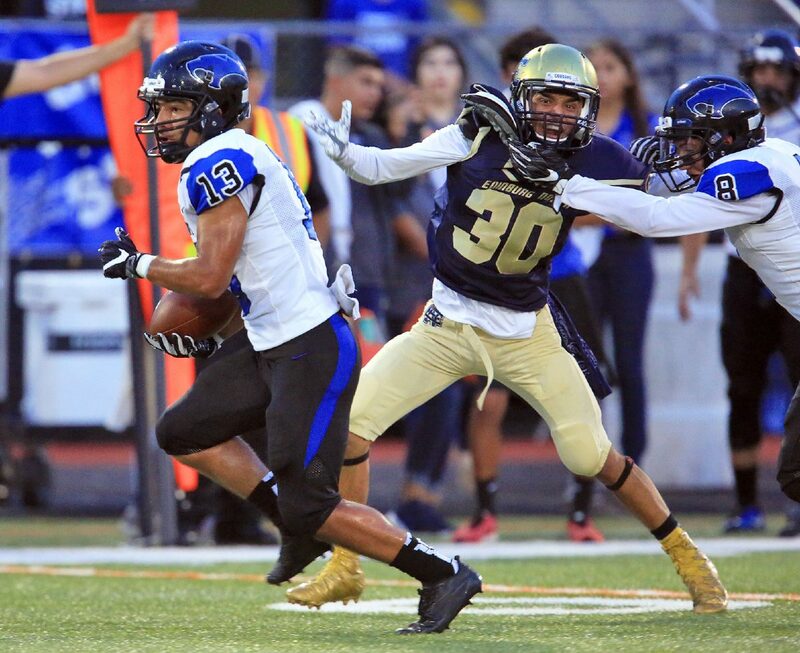 The drive was made up of seven rush plays and four pass plays, which is a rarity for Vela. The SaberCats only had 32 running plays in the entire game. Vela’s second score was also an example of how quickly the team can strike. On the kickoff following Vela’s first score, North senior Ethan Vela broke away for a long return. Just as he was about to be tackled, the SaberCats stripped the ball. 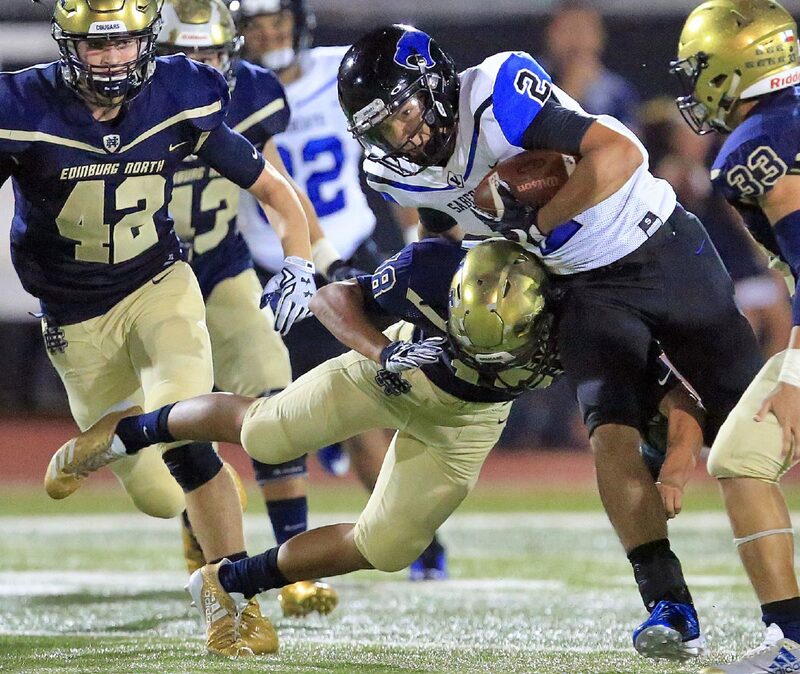 Senior defensive back Nick Enriquez scooped up the loose ball and ran about 60 yards for the score. The SaberCats used that momentum to take a 38-0 lead into halftime. 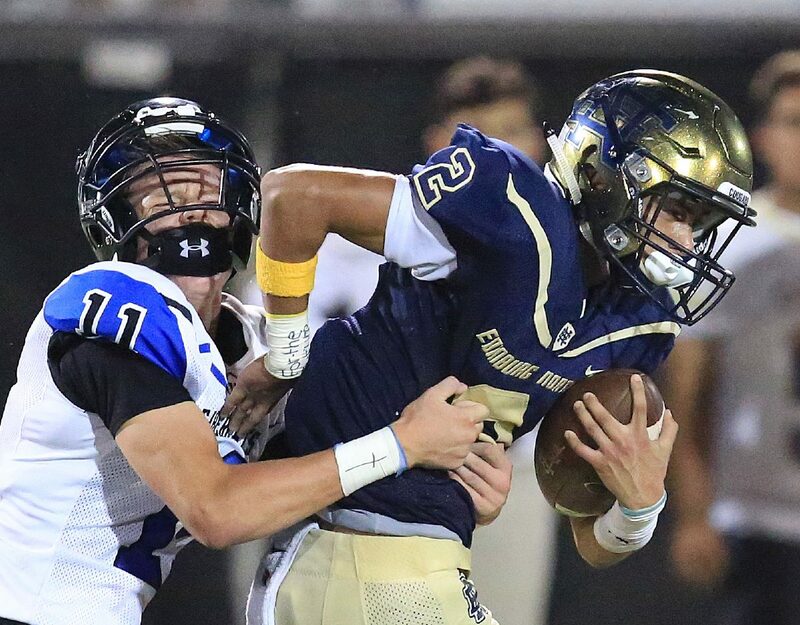 Edinburg North junior running back Cristian Flores, who transferred from Vela over the summer, wanted to have a big game against his former team. He did, to the tune of 123 yards and a touchdown to open the second-half scoring. Flores’ score came with 5:41 left in the third quarter, and to make sure the Cougars didn’t get too much momentum from the score, Vela scored twice before the end of the quarter. 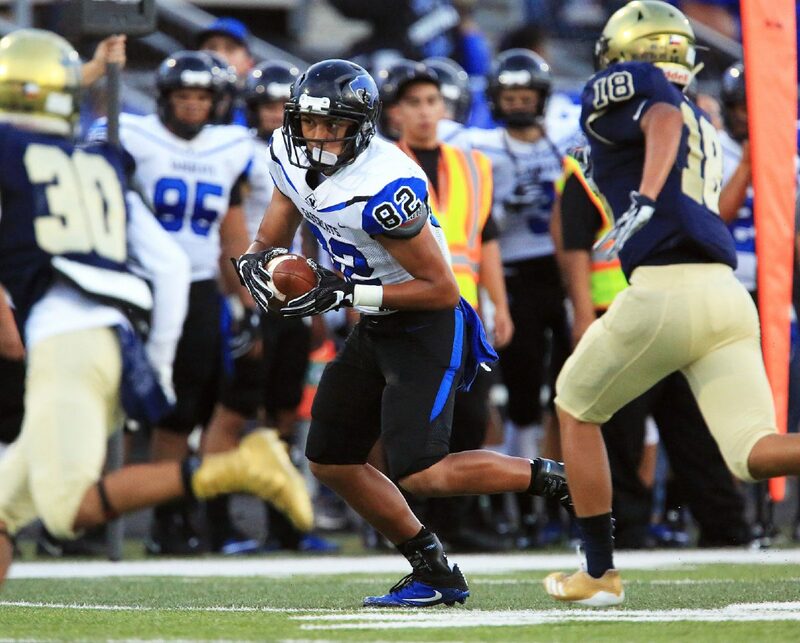 Under first-year coach Campbell, Vela set out to make a statement in its first district clash. Before the game, The Monitor writer Saul Berrios-Thomas caught up with Edinburg North coach Rene Saenz and Edinburg Vela coach John Campbell on The Monitor’s Facebook Live.